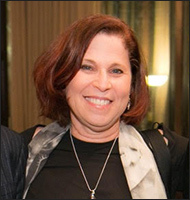 Wendy A. Grossman, Ph. D.
Curatorial Associate at The Phillips Collection and lecturer in art history at the Washington DC program of New York University and at the University of Maryland, College Park. She is an art and photo historian with expertise in the history of photography, European and American Modernisms, the intersections between non-Western and Western art, Surrealism, and the artist Man Ray. Professor and Program Head of Photography at the Corcoran School of the Arts & Design at George Washington University. She is the recipient of numerous distinctions, including a Smithsonian Artist Research Fellowship, the Howard Chapnick Grant of the W. Eugene Smith Memorial Fund, a Fulbright Scholar grant and Individual Artist Awards in Photography and Media from the Maryland State Arts Council. Her photographic works are internationally exhibited and are in private and public collections such as: Art Museum of the Americas, District of Columbia Art Bank, En Foco, Lehigh University, University of Texas, the Smithsonian American Art Museum and the Bibliothèque Nationale de France.